To change a habit (or create a new one), we need to learn about these three elements and how they interact. Then, we can gradually adjust our behavior. There’s a myth going around that you can make or break a habit in 21 days: three weeks of consistent commitment and resistance is all it takes. The truth is, forming a new habit takes an average of 66 days to become automatic (source). “How long it takes a new habit to form can vary widely depending on the behavior, the person, and the circumstances . . . anywhere from 18 days to 254 days.” (James Clear, Huffington Post). It’s a process that requires patience, dedication, and a willingness to fail and make mistakes (and keep going). It's a marathon, not a sprint, as they say. We have to keep putting one step in front of the other, taking small steps in the right direction (whatever that is for you). That means celebrating slow, incremental progress, even on days when we feel we’ve taken a step back. It means making a commitment to keep showing up, keep trying, and giving ourselves a healthy dose of grace throughout the process. I don’t know about you, but I find it challenging to create healthy morning and evening routines that stick. 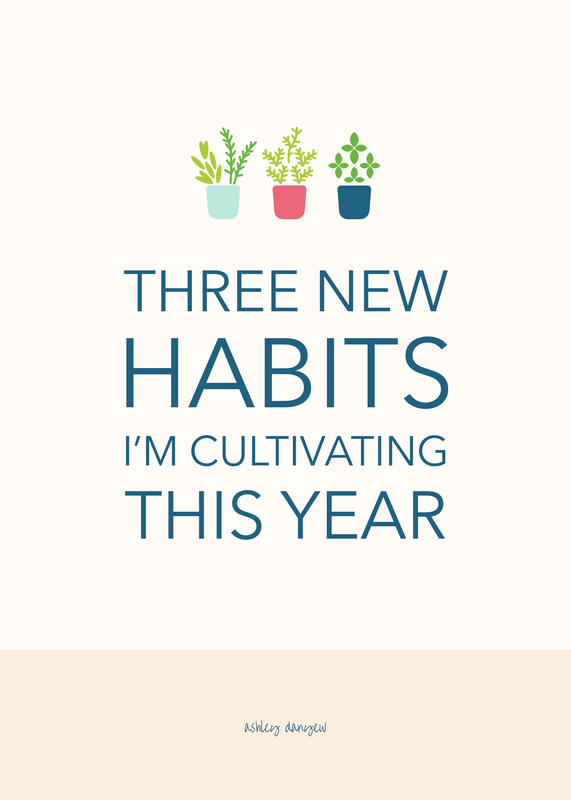 I start the year off with good intentions, but by summer, things are a little more lax, and during the fall, I often find myself slipping back into old routines and habits that leave me feeling worn around the edges. This year, I started fresh with new, healthy morning and evening routines, and I'm holding myself accountable each month to stick with them (and adjust them, as needed) until they become habits. The part that stood out to me was “our well-trod routines and rhythms.” When we go to the lake, we step into a new routine for a few days. We start and end the day slowly, quietly. Why not cultivate some of these habits in our everyday life? One habit in particular that I’m willing myself to break this year is reaching for my phone before climbing out of bed in the morning. So, no phone before 8 a.m. it is. Instead, I’m reaching for a book and finding the gift of a few minutes to read in the morning. When the second alarm goes off, I put my book away for the day, make the bed, change my clothes, and brush my teeth. We’re still in the season of dressing in layers here — scarf, coat, hat, earmuffs, boot socks, gloves — so we bundle up and head out for a brisk walk around the neighborhood. Once we’re back home, I get ready for the day, pour myself a glass of water, and make a cup of coffee. Then, I look at my phone. At the end of the day, when the dishes have been washed, dried, and put away, when the stories from the day have been shared, and the music from the radio fades into the background, I sit down at the piano for a few minutes to play. Sometimes, it’s a hymn from the open hymnal; sometimes, it’s one of Steve’s compositions. Last week, it was “Happy Birthday” for my 3-year-old niece. Meanwhile, Rory has chased the rabbit around the yard and retires to her evening napping spot. And so, the phones go away. We curl up to watch an episode of our current favorite show and then get ready for bed. I crawl under the covers for 20-30 minutes of reading (a novel or something light). Currently, I’m reading The Most Famous Illegal Goose Creek Parade by Virginia Smith. These are imperfect plans and I don’t always stick to them exactly as outlined here, but I’m finding that there’s not a perfect way to start and end the day. For now, in this season, this feels right. I listened to a podcast episode recently, an interview with Cal Newport (author of Deep Work), that got me thinking about solitude. Cal described how little solitude we really have in our lives these days, how often we try to fill the void with noise or conversation or distraction. That being alone with our thoughts is important to our overall wellbeing, our creativity, our sense of peace and groundedness. Do you know the feeling? I know I do. And so, I’m being more intentional about adding silence and solitude into my days. Not reaching for my earbuds and the latest podcast episode, not turning to social media every time I find myself with a few spare minutes. Practicing being along with my thoughts, listening, thinking, dreaming. The need to be seen, heard, and understand. The need to feel liked, loved, and accepted. The subconscious comparison and self-doubt and fear of rejection. These are the things we face when we open those small social media apps. It seems innocent enough — isn’t it about staying connected to one another? Isn’t it about encouraging one another, celebrating successes and good news, and sharing things that are important to us? Yes. But it can also create a sense of unrest, dissatisfaction, and even anxiety. Think about how much information is packed into those little squares and how much energy it takes to process all that. Am I posting enough, saying enough, commenting enough? It’s easy to let those thoughts and feelings creep in. And so, I’m stepping away for a few days each week, disconnecting in favor of connecting more deeply with my life and the people in it. It’s a little white space that’s helping me appreciate where I am, what I have, and who I am becoming. It’s permission to think for myself, to process things slowly, to look up and experience the things in front of me as they are, without the pressure to capture the perfect square image and write the perfect caption. What new habits are you cultivating in your life right now? I’d love to hear!